PARIS — Ferrari plans to sell 499 units of the Monza SP1 and SP2 supercars with a 1.6 million euro ($1.85 million) price tag. 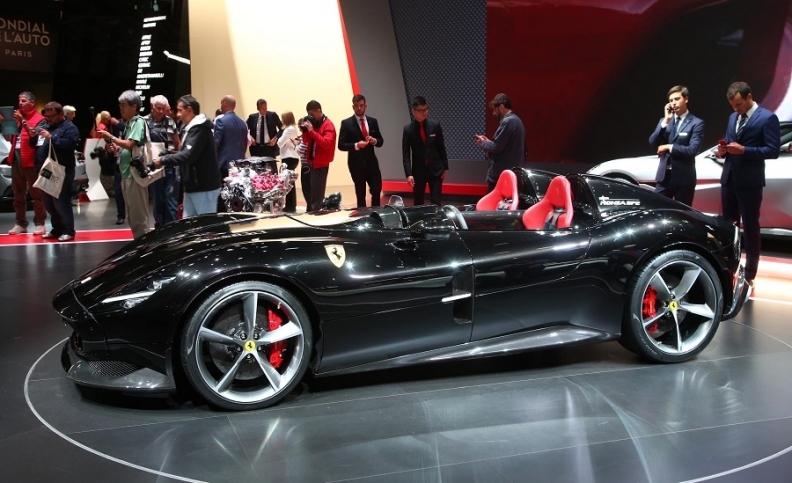 Over two years of production, that would generate for Ferrari an additional 654 million euros ($755 million) in revenue, the company’s top sales executive said here. The $1.6 million euro figure is the Italian price and includes a 22 percent value-added tax, which means just over 1.3 million euros ($1.5 million) net of tax. “The dealer slice” also would have to be subtracted from the 654 million euros in additional revenue, said Enrico Galliera, Ferrari’s head of sales and marketing. He did not disclose what the margin would be. The special-series cars, first shown Sept. 18 at Capital Markets Day in Maranello, Italy, are on display here in Paris alongside the 488 Pista Spider, which makes its European debut after being shown in the United States at Pebble Beach, California. The Monza has been developed “without regard to the homologation process,” Galliera said. It will be possible for customers to get the homologation in Europe, while it will not be street-legal in the United States and Asia and will be drivable only on closed circuits and racetracks. The car has no windshield, which does not impede homologation in Europe. “We do advise [drivers] to use the car with a helmet or to drive slowly,” Galliera said. The Monza SP1 and SP2 will be assembled on a dedicated line that will be set up within the Maranello plant, Galliera said. The line then will remain active for additional cars of the new retro-styled Icona business line, which was announced during the Sept. 18 event. The Monza SP2 has two seats. 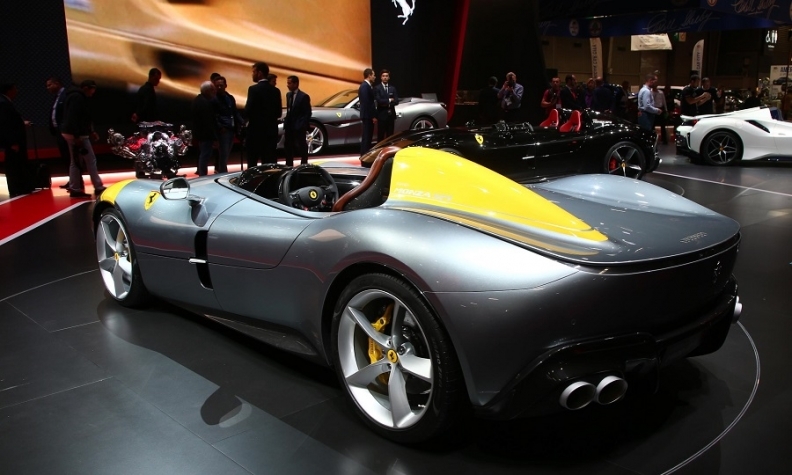 The 488 Pista spider will be produced in “more than the approximately 500 units sold of the 458 Spider,” Galliera said. The car, which is “the fastest roadster produced by Ferrari,” has been offered to “selected customers” at 327,000 euros ($378,000), with the Italian price including the 22 percent VAT. Of those customers offered the chance to buy, Galliera said, 99 percent have decided to do so. The Ferrari manager said both the 488 Pista Spider and two Ferrari Monzas were offered in various markets proportionally to the level of sales in each market. The number of collectors in each market also was relevant in allocations of the Monzas. The Monza has been sold to the kind of customers Ferrari calls “ambassadors,” who not only buy many cars but also show them and participate in the company’s initiatives.